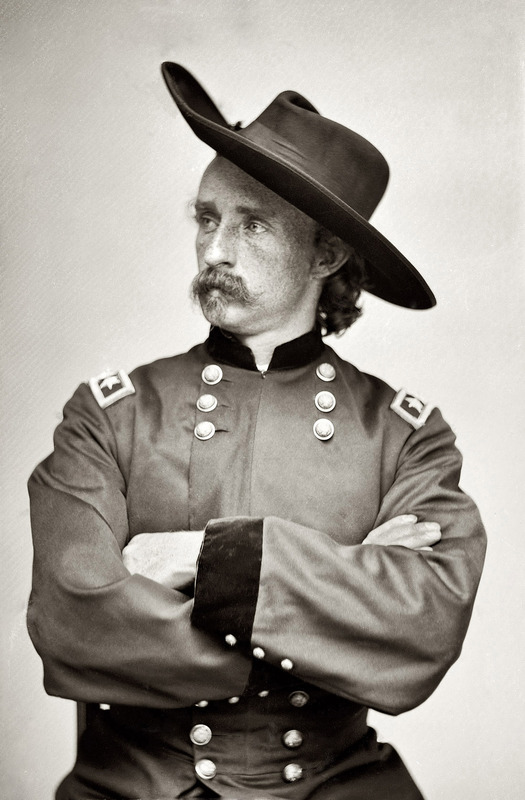 "Major General George Armstrong Custer, Officer of the Federal Army." 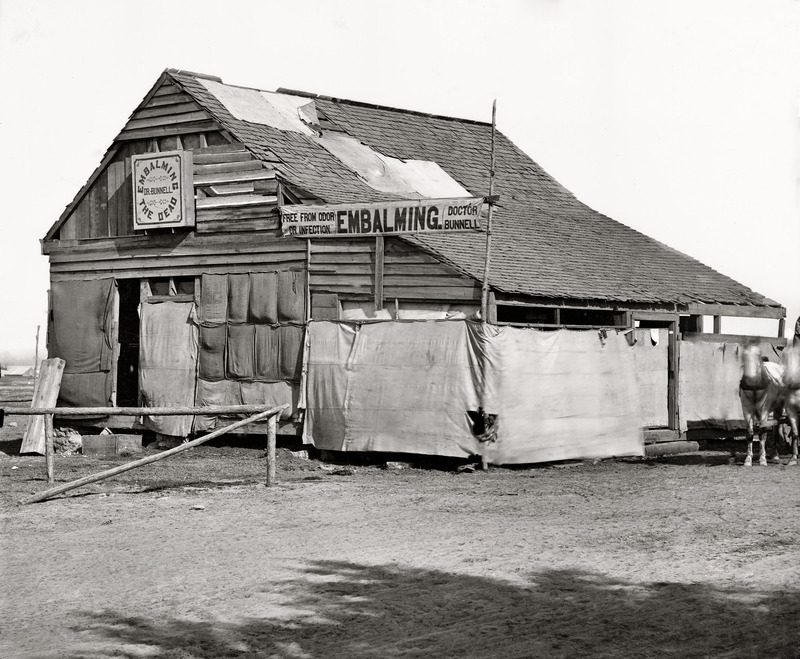 "Dr. Bunnell's embalming establishment in the field. Army of the James." Wet-plate glass negative, half of stereograph pair. Wet plate glass negative, half of stereograph pair. July 1863. Gettysburg, Pennsylvania. 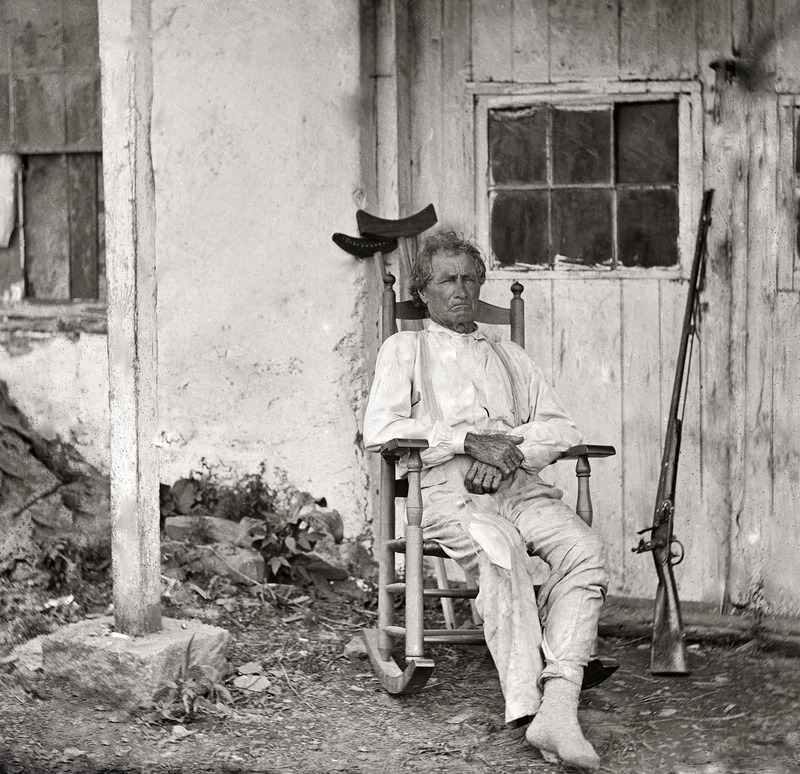 "John L. Burns, the 'old hero of Gettysburg,' with gun and crutches." Burns, born ca. 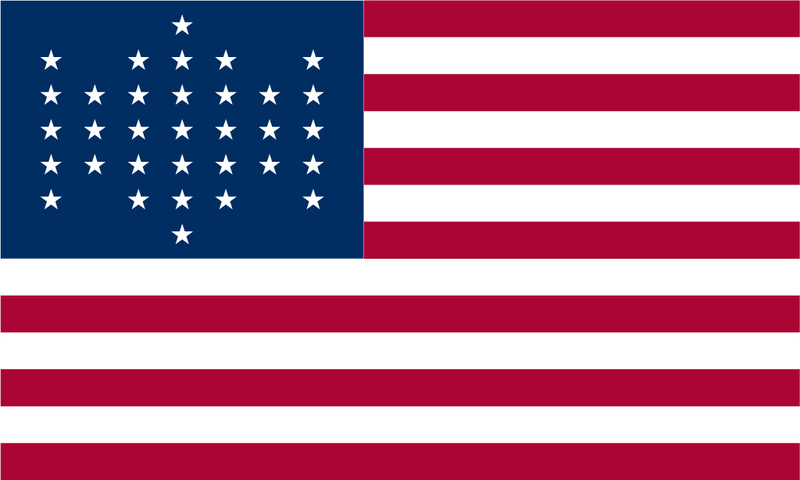 1793, was a 70-year-old veteran of the War of 1812 when he was wounded in the Battle of Gettysburg, having volunteered his services as a sharpshooter to the Federal Army. He died of pneumonia in 1872. Wet-plate glass negative by Timothy H. O'Sullivan. 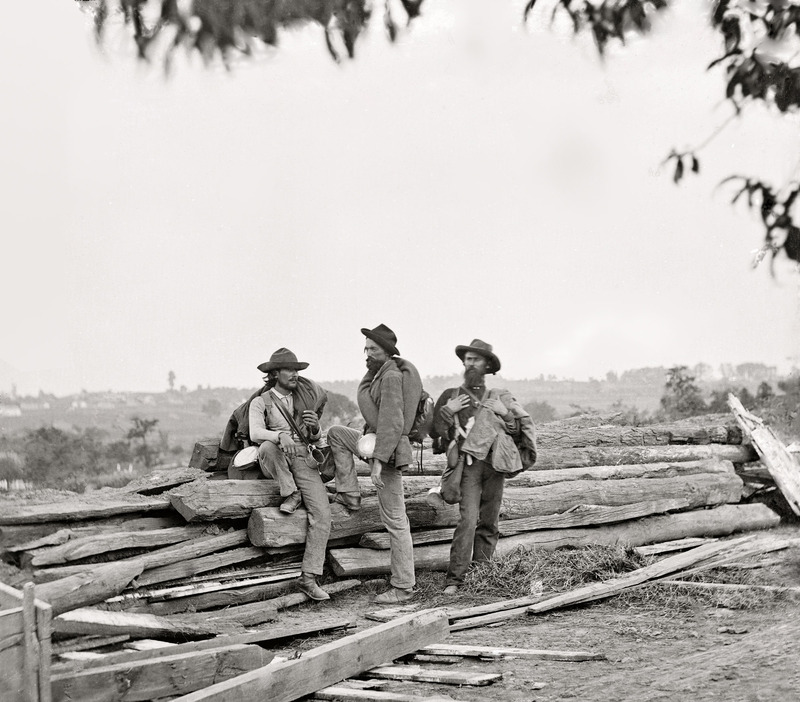 Atlanta, 1864. 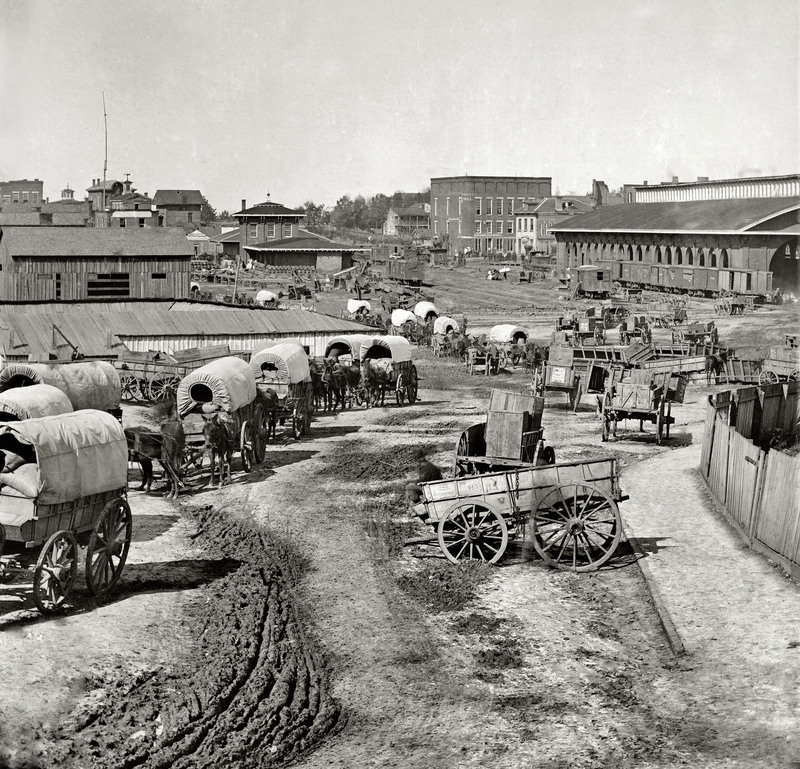 "Federal Army wagons at Railroad Depot." And maybe Scarlett O'Hara in the distance.